This badge was issued to René Brodkorb on 10 Jan 2019. 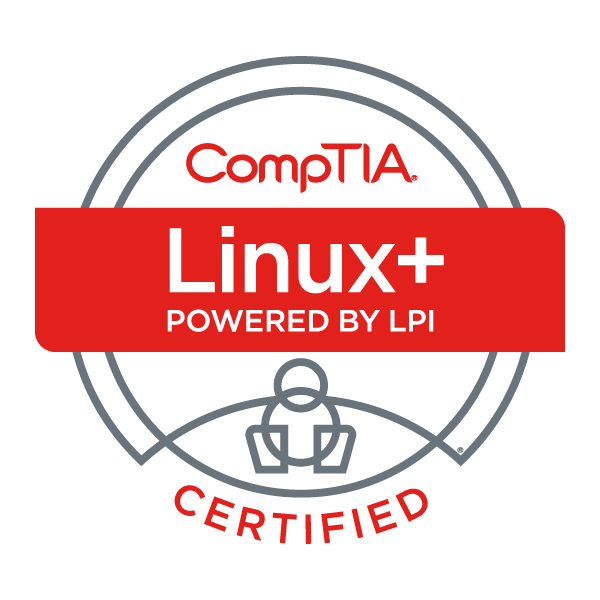 Earners of the CompTIA Linux+ (pb LPI) certification have the knowledge and skills required to succeed as a system administrator supporting Linux systems. CompTIA Linux+ administrators have demonstrated the ability to configure the system, navigate the command line, and use common package management systems. They are also able to customize the environment, create scripts and configure networking. Achieve a passing score on the two CompTIA Linux+ powered by LPI exams.